Sorry I forgot to announce the winner yesterday, but I was swamped with work. Thanks everyone for entering the giveaway on Tuesday for Mineral Magic's Microdermabrasian Mask. 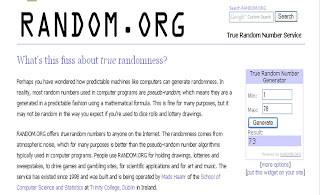 I used http://www.random.org/ to generate a winner out of the 78 comments. The winner is comment #73, Sassy Sewing Diva! Please email me at makeupbyren@yahoo.com with your name and address so that I can mail you your prize. For those of you who didn't win, you can purchase this mask and facial cleansing brush for $25 at MineralMagic.com. I'm planning another product giveaway next week, stay tuned! BTW, I went to mineralmagic.com and it's just a parked search page. I found that the actual url is http://mineralmagiccosmetics.com/storefront/index.php?main_page=index&cPath=71_67 - finding the actual page was hard so I give the full link to the product. Oh Wow I won!!!!!! Thanx everyone.